Why doesn't the print page show the recipe? Learn about what may prevent the print page from showing the recipe and how you can fix it. The most common reason for the print page to have issues is a conflict with WP Ultimate Recipe - both plugins try to use the same URL structure for the print pages and it causes the recipes to not show up. Then, select Print Version under Recipe Template. 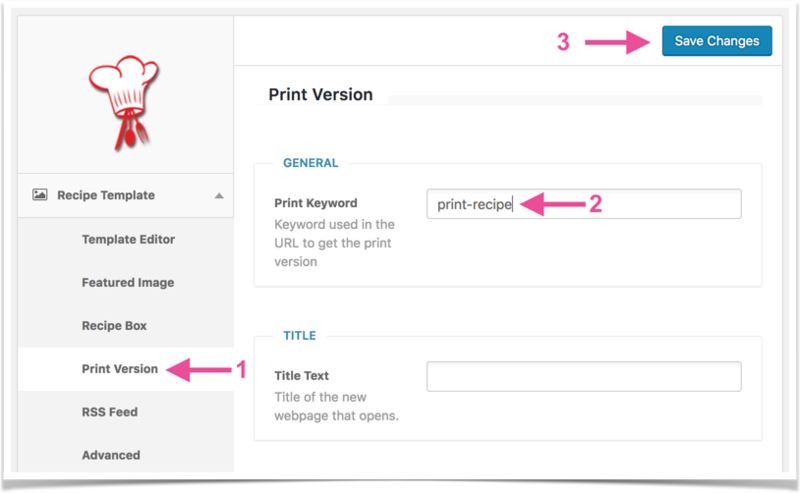 Change the Print Keyword to print-recipe , then save the changes. After making this change, go to Settings → Permalinks and save the page without making any changes. This flushes the site permalinks to allow the print pages to show up on the new URL. In most cases, this fixes the problem. 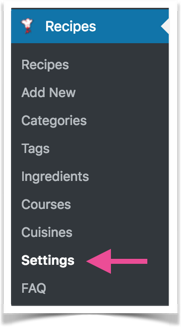 Your WP Ultimate Recipes will still be available for viewing on their own print pages, as will the Tasty Recipes. After adding the above snippet to your theme functions.php file, go to Settings → Permalinks and save the page without making any changes. This flushes the site permalinks to allow the print pages to show up on the new URL. If you are seeing undesirable things, such as popup text and share buttons, show up on your print pages, you can learn how to fix that here.